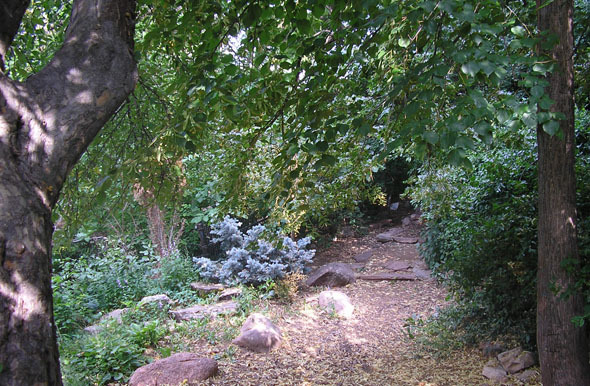 It was the vision of high school botany teacher Maud Reed in 1948 that resulted in the small green retreat in the bustle of downtown Boulder that is known as the Andrews Arboretum. Reed appropriated a piece of open land to give her students hands-on experience with plants and trees. After several years, she persuaded the local school district to buy the land and to name it after internationally known Boulder horticulturalist Darwin Andrews. The city of Boulder has owned and maintained the space since 1989, which is open every day free of charge. The arboretum is on the east side of busy Broadway between Marine and Grandview streets. Visitors to the hillside arboretum pass through plantings of native evergreens and exotic imports, groundcover and flowers along winding paths and quiet seating areas.